Dean Durrant Design has been creating water features for over 10 years and found that the use of natural stone is not only a perfect match to water, but also a long lasting and enduring material that creates stunning water features that keep their appeal over the years. 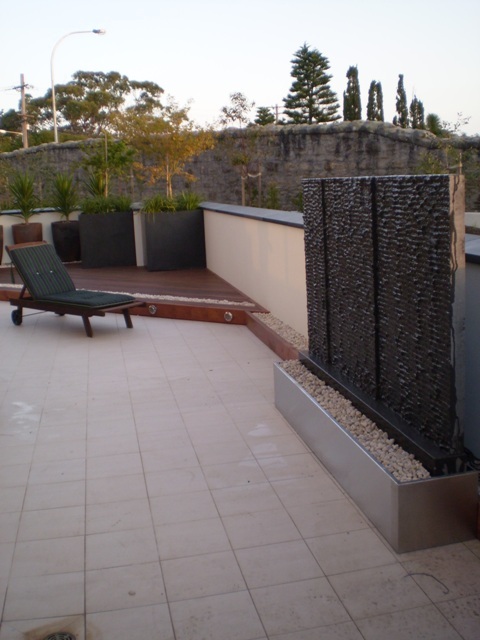 Each water feature is custom made to suit each individual client. Free onsite quotes and drawings are provided to help give a picture to what can be achieved. The stone used is sourced both locally and overseas and can be cut and shaped to suit. Many of the water walls created are all freestanding and made from 35mm solid panels which can be mixed and matched to suit in colours, textures and size. Having created hundreds of water features throughout Melbourne and Australia it is a pleasure to be able to share some with you. Have a browse to give an idea of what can be achieved or may help come up with a unique idea that may suit. Browse the current designs and pricing of the water features for sale. Each water feature is made to order and sizes can be easily changed. The trough for each is also made to size and can be finished in stone, fibreglass, timber or stainless steel.